I recently attended a lecture by the Revd Professor Alistair McGrath of Kings College London and Oxford. The lecture was hosted by the Lanier Theological Library, a private collection of nearly 80,000 theological books. It was founded and opened to the public just 3 years ago by an amazing fellow named Mark Lanier. Lanier is one of the top trial lawyers in the nation, and one of the most gifted Bible teachers you will ever hear. For those of us who love books and all things English, the Lanier Library is a bit of heaven. You can tell from the picture that it looks like the kind of library you’d find at Cambridge. Professor McGrath was invited by Lanier to give a lecture on the contributions of C. S. Lewis. 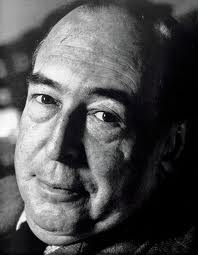 2013 marks the 50th anniversary of the death of C. S. Lewis. He died the same day that President John F. Kennedy was assassinated, November 22, 1963. I’m sure Lewis’ death was overshadowed by the death of the 35th president. McGrath has written a definitive biography of Lewis to mark the occasion of his passing and reassess his contribution. He titled it C. S. Lewis—a Life: Eccentric Genius, Reluctant Prophet. If you are interested in Lewis’ life, I recommend you buy it and read it. McGrath is a worthy interpreter of Lewis. While I have read 7-8 of Lewis’ books in the past, I haven’t read everything Lewis wrote. I discovered from listening to McGrath that Lewis had a great deal to say about Bible translation in a variety of essays and the preface to J. B. Phillips’ translation of the New Testament Letters (published 1947).
. . . the Authorised Version has ceased to be a good (that is, a clear) translation. It is no longer modern English: the meanings of words have changed. . . . The truth is that if we are to have translation at all we must have periodical re-translation. There is no such thing as translating a book into another language once and for all, for a language is a changing thing. If your son is to have clothes it is no good buying him a suit once and for all: he will grow out of it and have to be re-clothed. We ought therefore to welcome all new translations (when they are made by sound scholars) and most certainly those who are approaching the Bible for the first time will be wise not to begin with the Authorised Version—except perhaps for the historical books of the Old Testament where its archaisms suit the saga-like material well enough. Lewis went on to commend the translations of James Moffatt (1870-1944) and Ronald A. Knox (1888-1957). They had translated the full Bible, beginning with the New Testaments. After having read some of what Lewis has said about translation, I wonder what he would think of The Voice. Lewis loved stories; he was himself a master story-teller. Would Lewis have appreciated the emphasis on story in The Voice? Would he like the screen play format we used in dialogue that makes it clear who is speaking to whom? Lewis praised human imagination and encouraged Christians to be imaginative when sharing the good news; more than any 20th century Christian leader he unleashed his imagination in expressing his faith. What would Lewis think of the imaginative ways the poets and scholars worked together in order to discover the beauty of the poetry, the acrostics and the various literary techniques employed by each writer? Well, we will never know what Lewis might think, this side of eternity. What I do know is that the more I read Lewis, the more I think he would celebrate any serious attempt made to capture the hearts and minds of those who read the Bible. By David B. Capes in Uncategorized on March 27, 2013 .